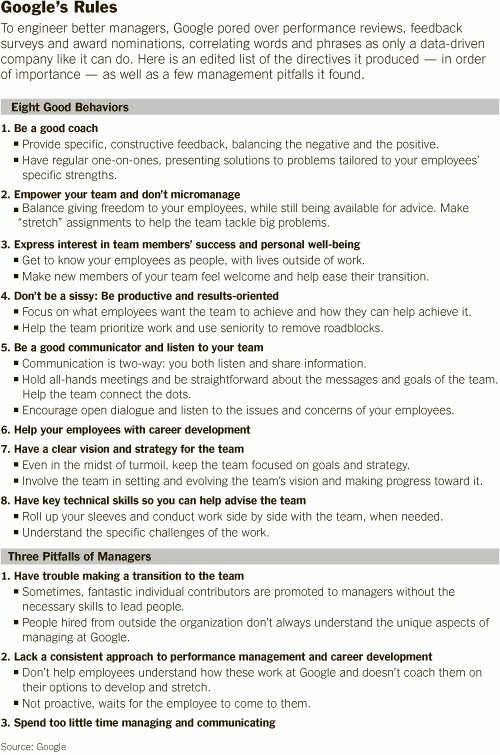 Empower your team and don’t micromanage. Lack a consistent approach to performance management and career development. Common sense rules rarely taught, measured against, or applied. Occasionally given lip service. The NYT article is an interesting read. Might I suggest printing out a dozen copies of the image out and scattering them around into the inbox’s in your Office?